Student Giel Ahn Giel is a 43 year young autistic man, who has been coming to my studio since Dec 2013. His vibrant, colorful work is his 'voice', while his powerful brushstroke is tribute to his zest for life. 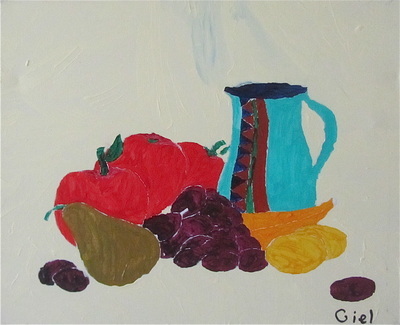 I have curated several Solo Exhibits of his beautiful paintings @ Normandy Park City Hall, Premier Gallery in Puyallup, and Maple Valley Arts Center, as well as @ Vintage Vino and Espresso, Maple Valley, all in WA. 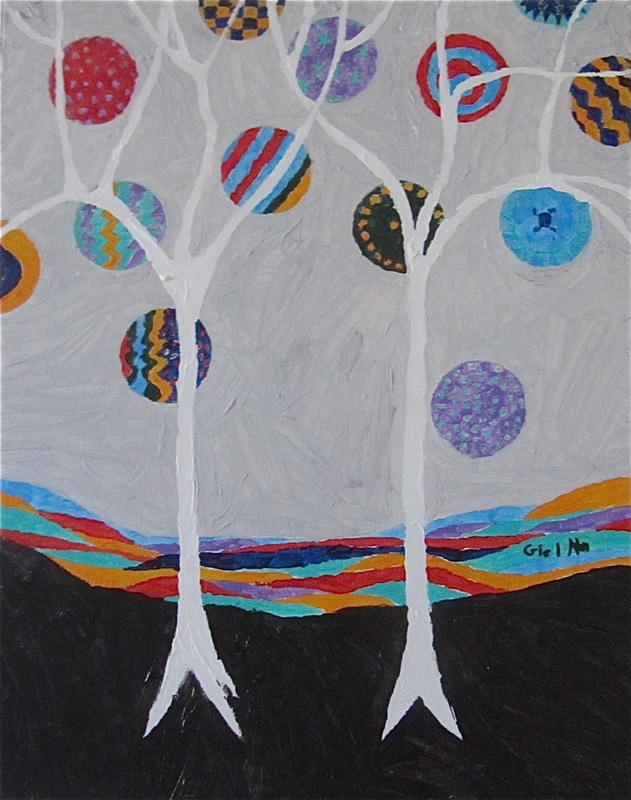 In addition, Giel's work has been accepted into prestigious group shows i.e. 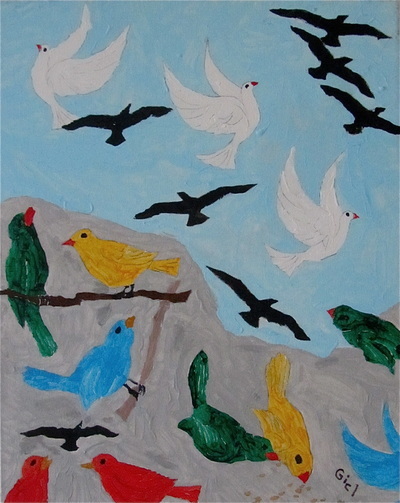 : Bryn Mawr Rehab Center, Malvern PA, Art Ability Fair Seattle [for many years in a row], which is a one year long touring exhibit, curated by Sharianna Mundi. 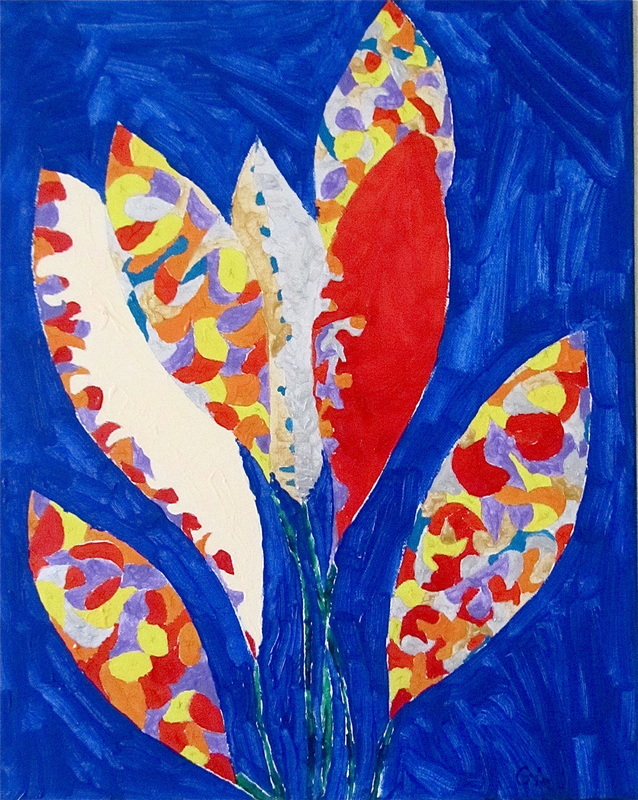 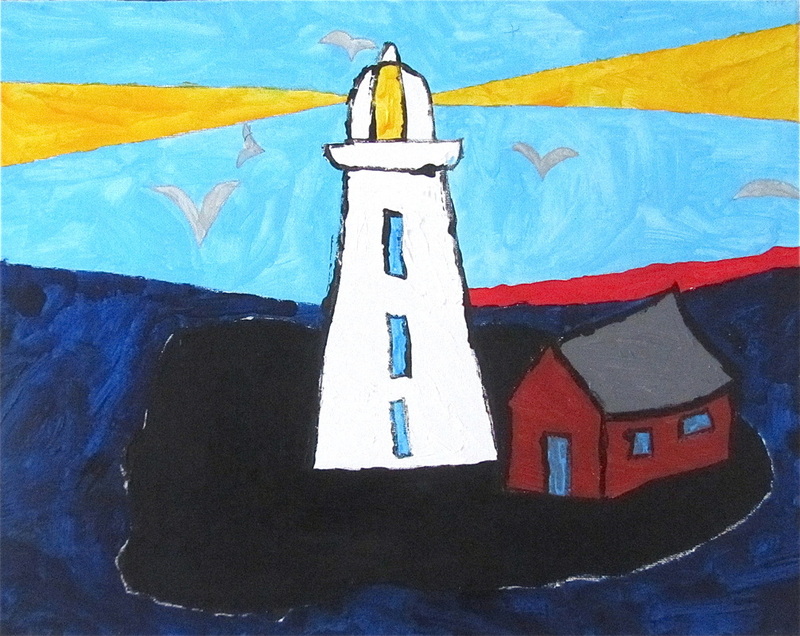 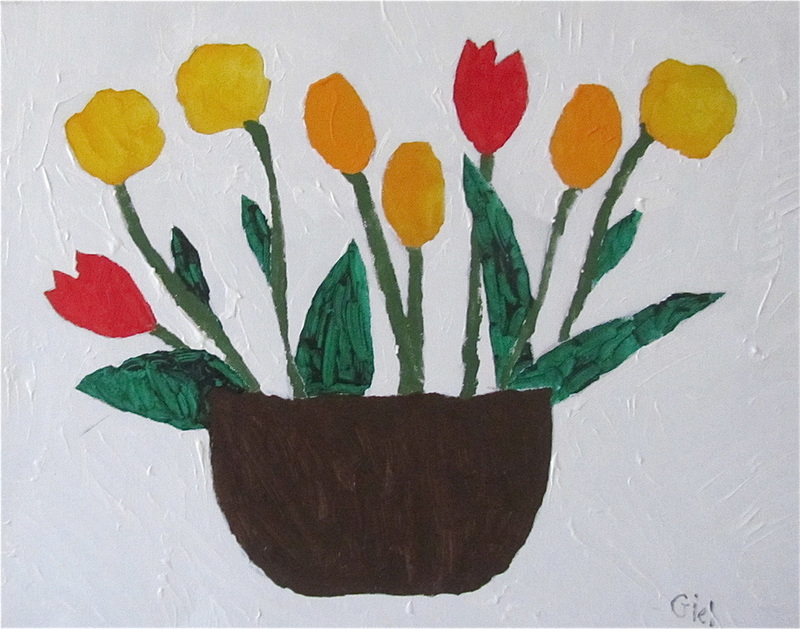 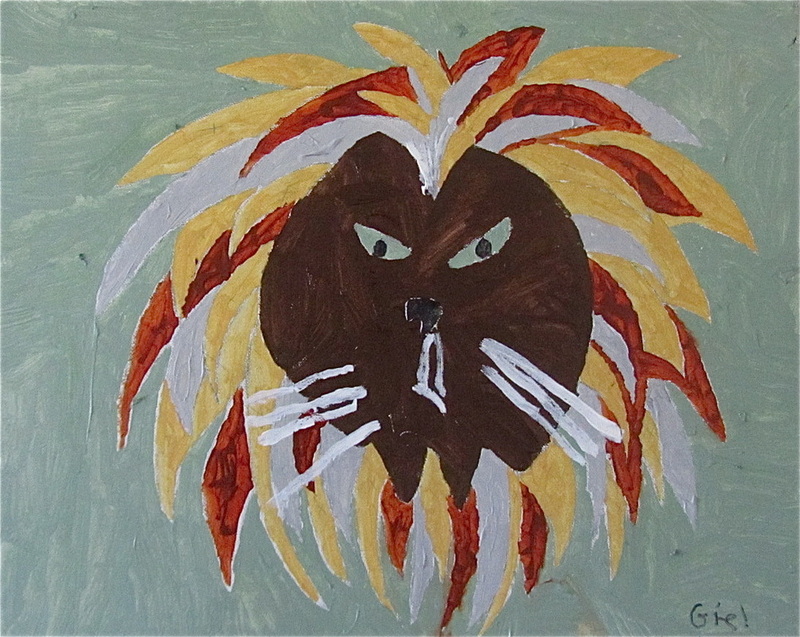 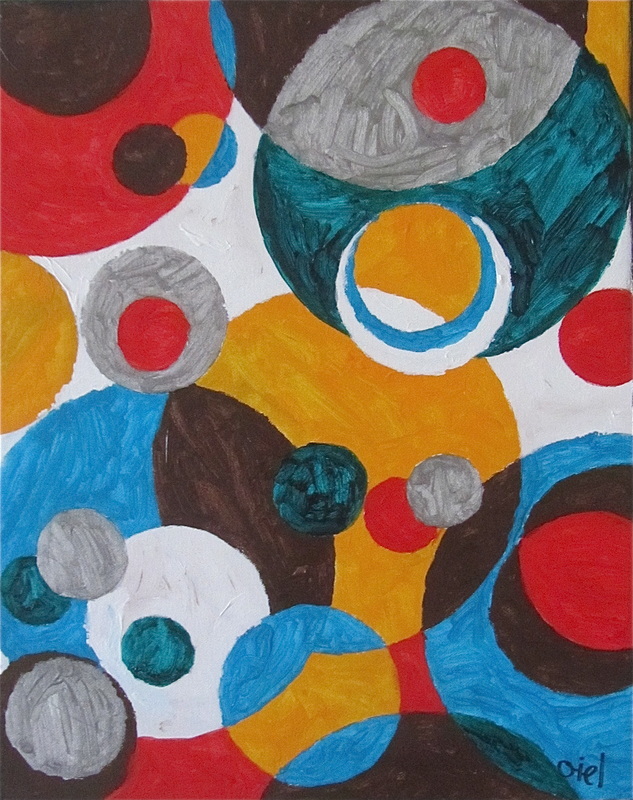 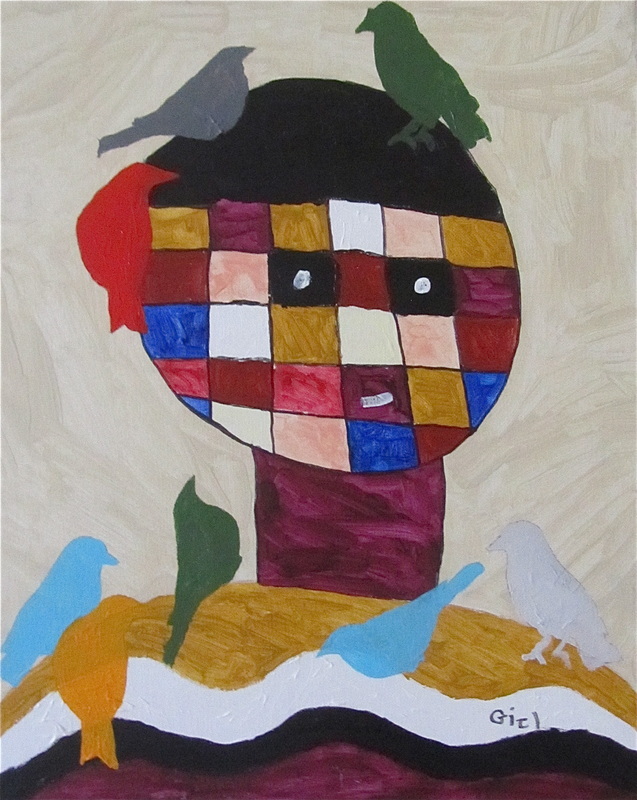 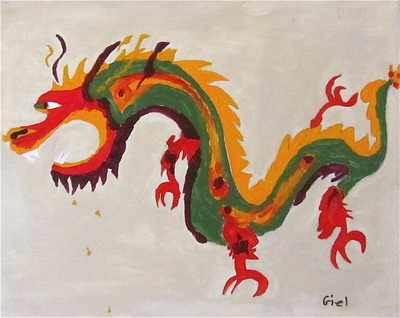 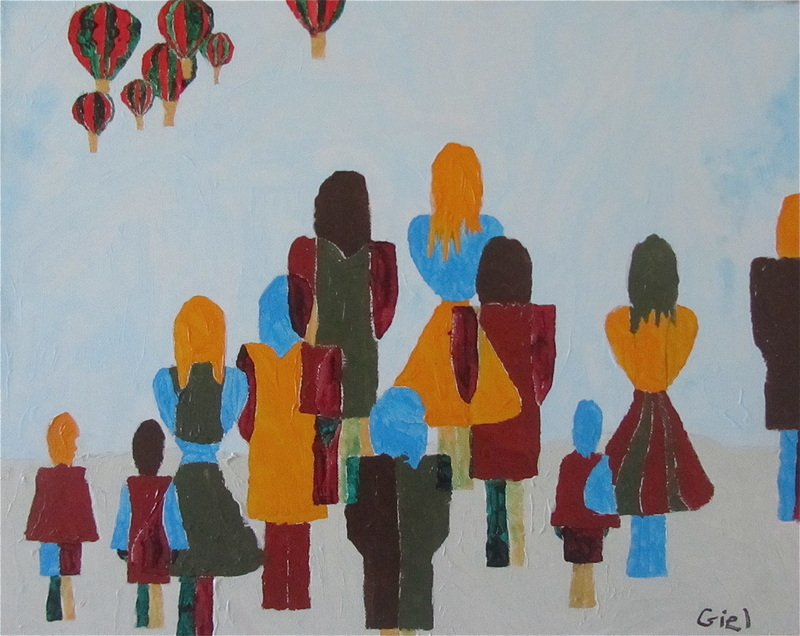 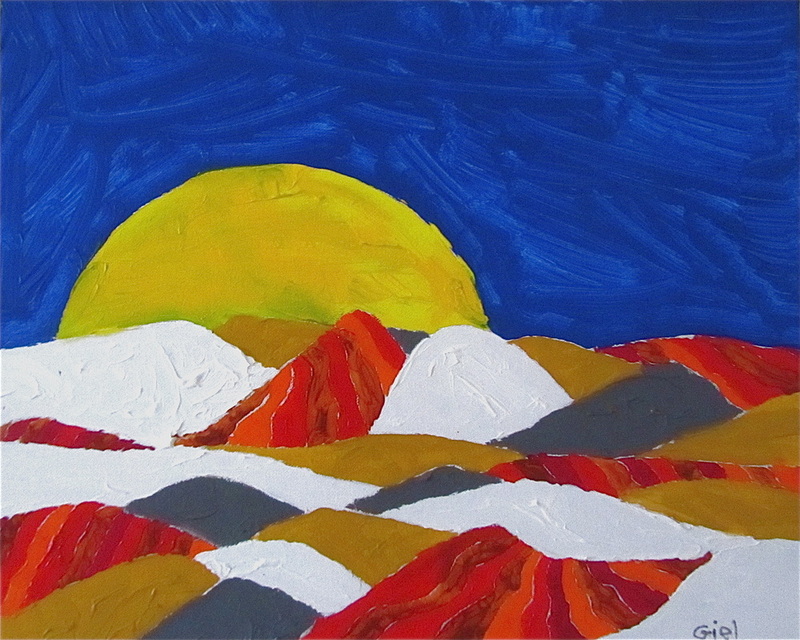 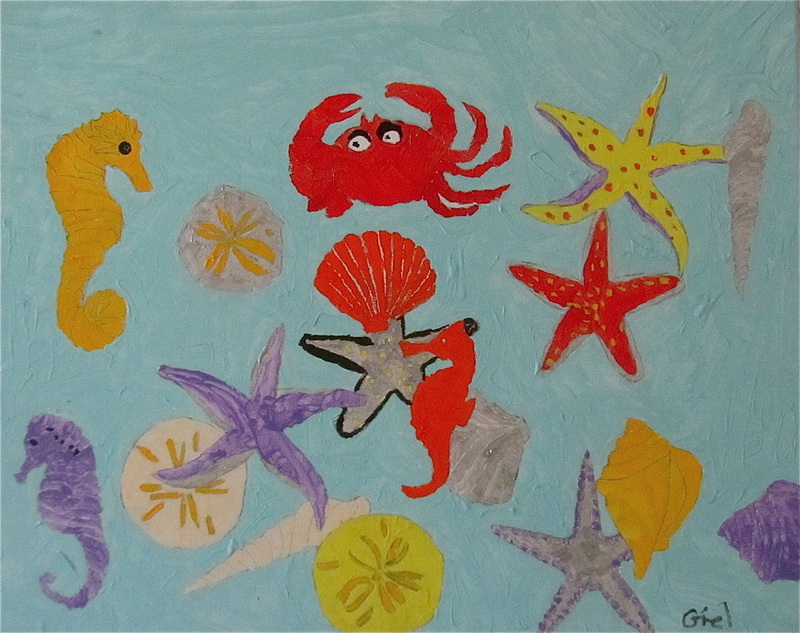 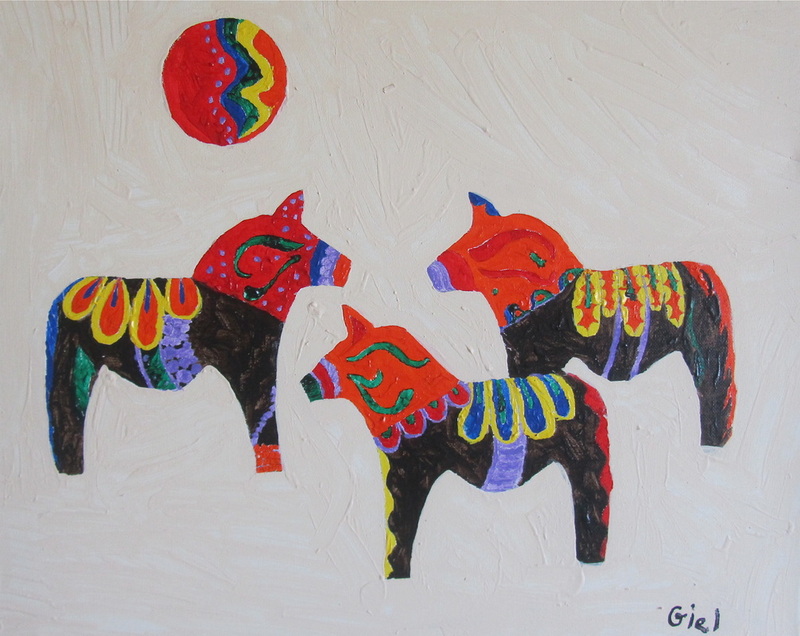 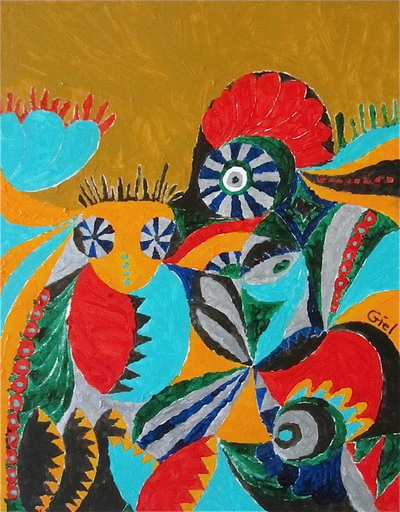 In 2015, Giel received an invitation to show 4 of his paintings at a special "Autism Exhibit" at the Seattle Science Center, Seattle WA. I am honored to work with this very talented artist, who teaches me the most important lesson in life: to be patient and kind. 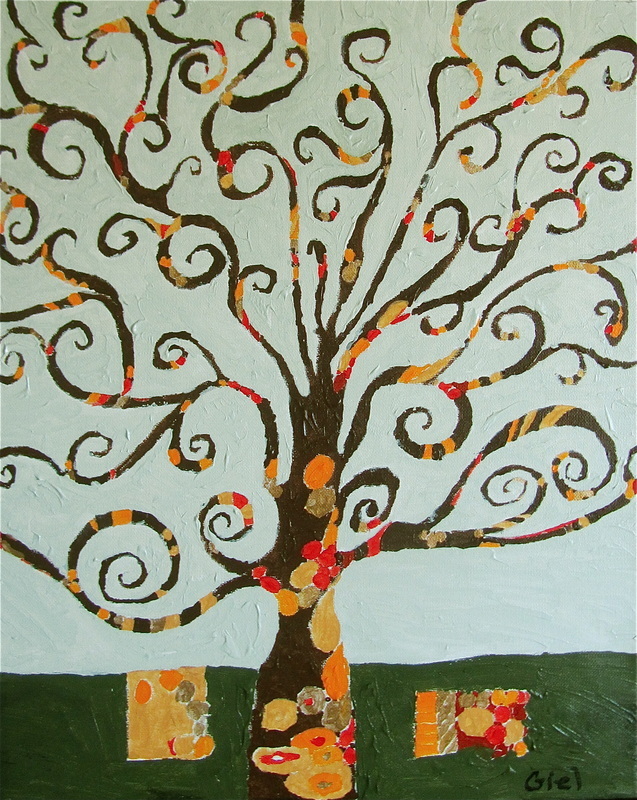 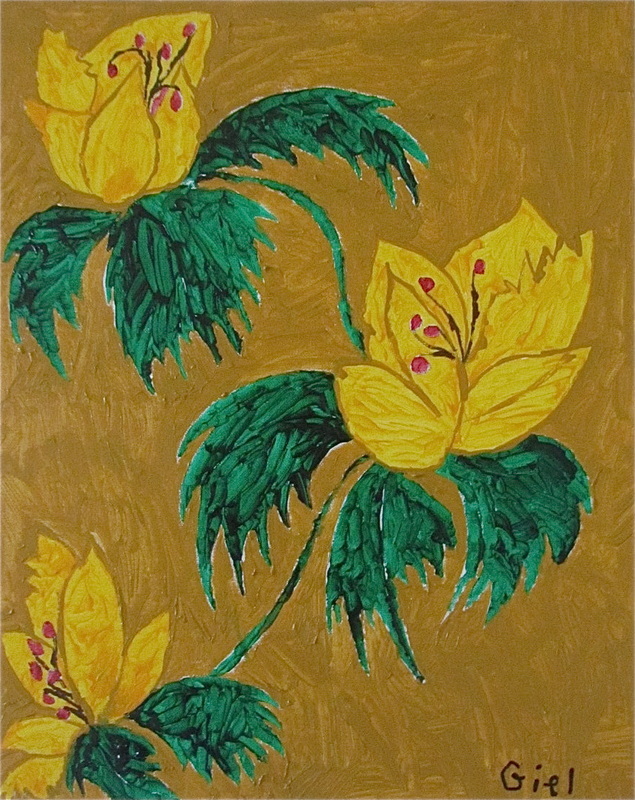 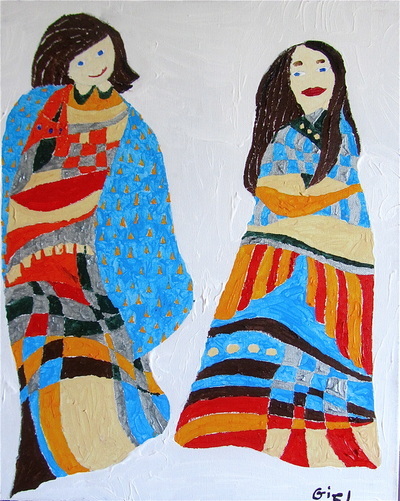 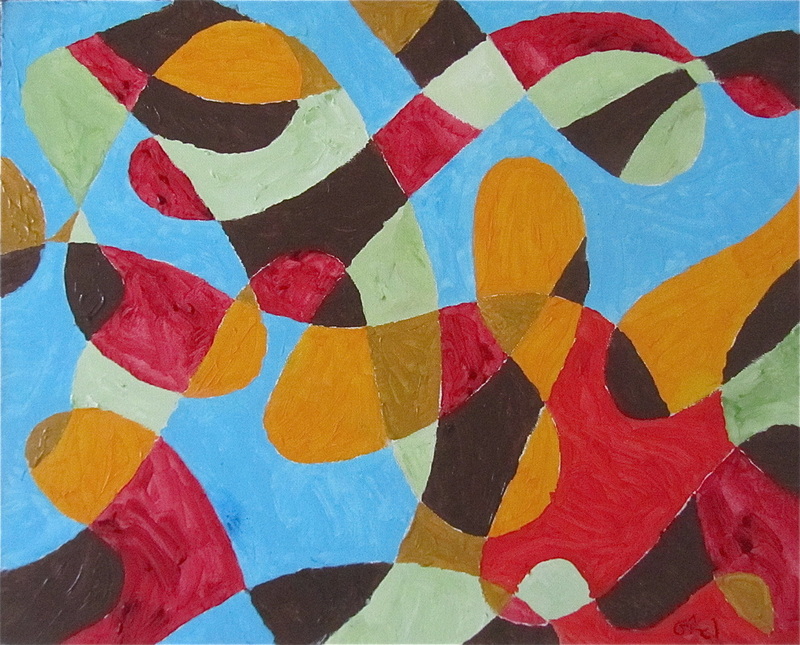 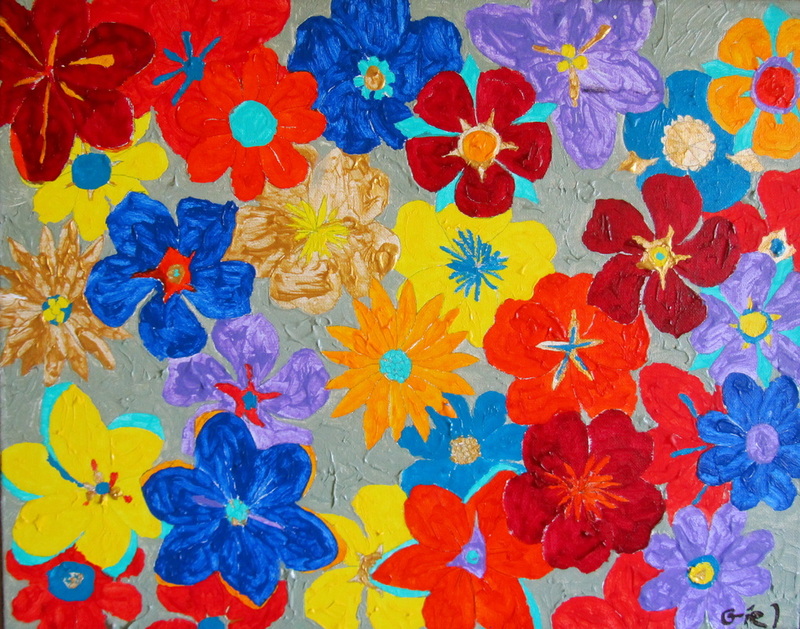 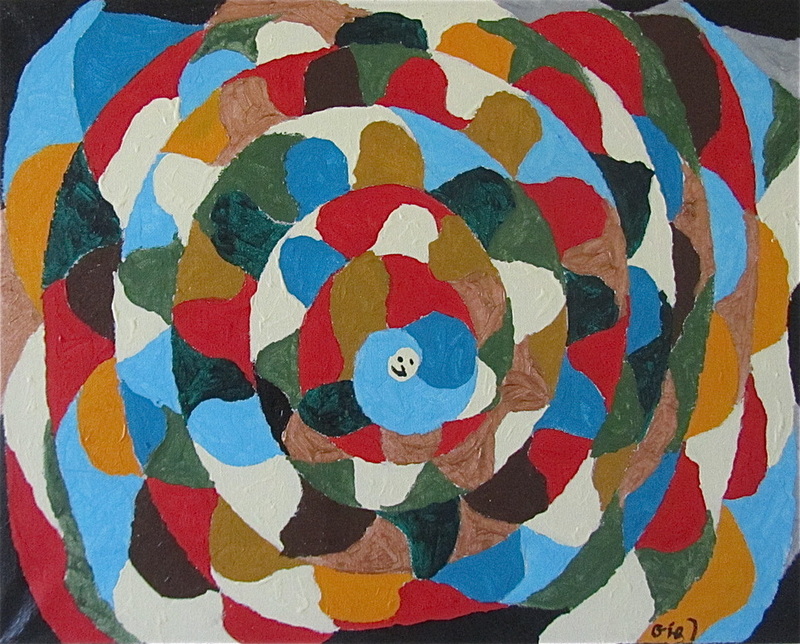 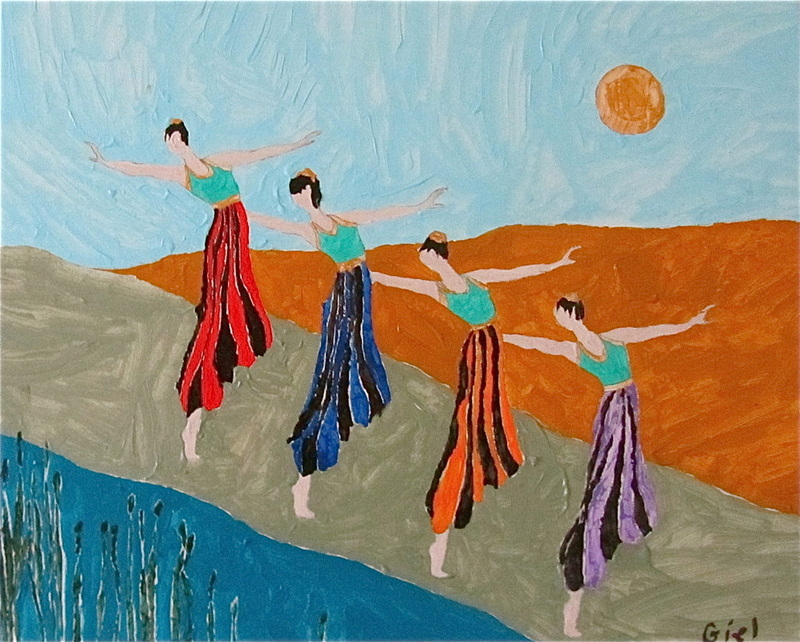 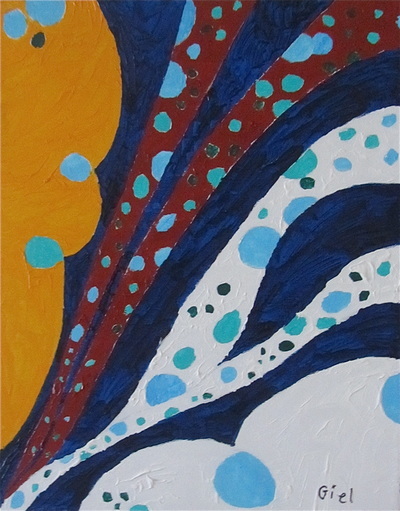 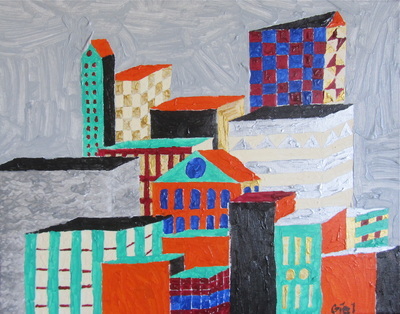 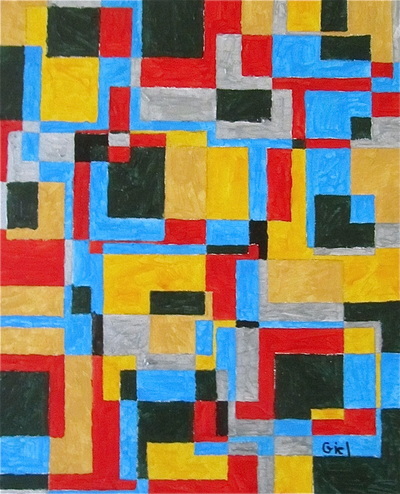 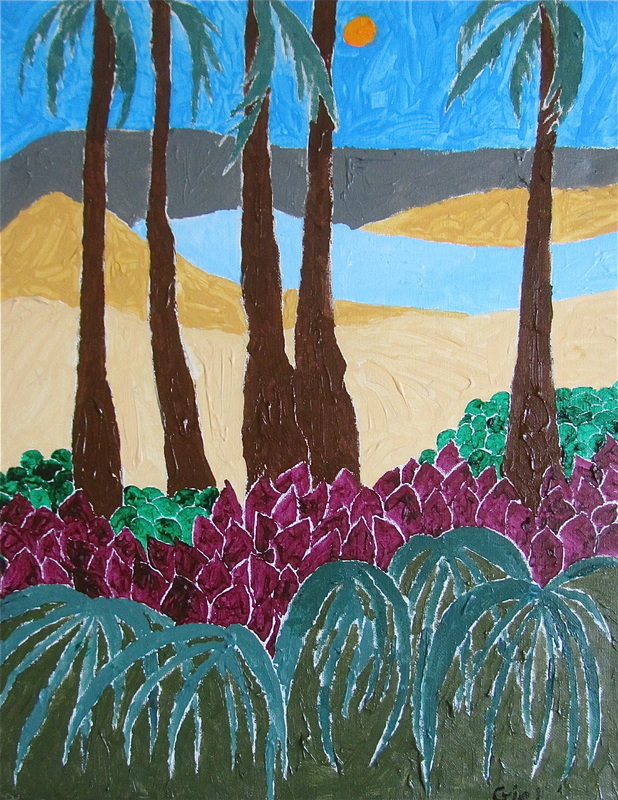 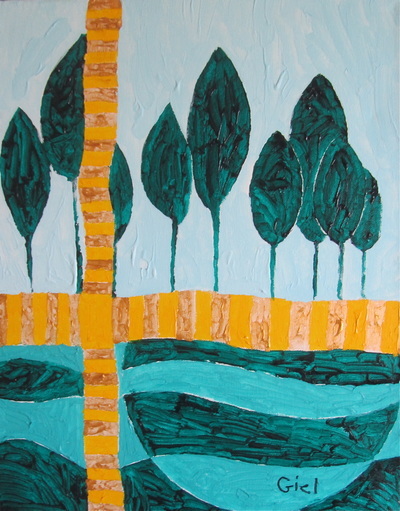 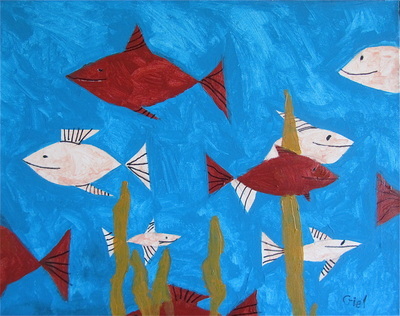 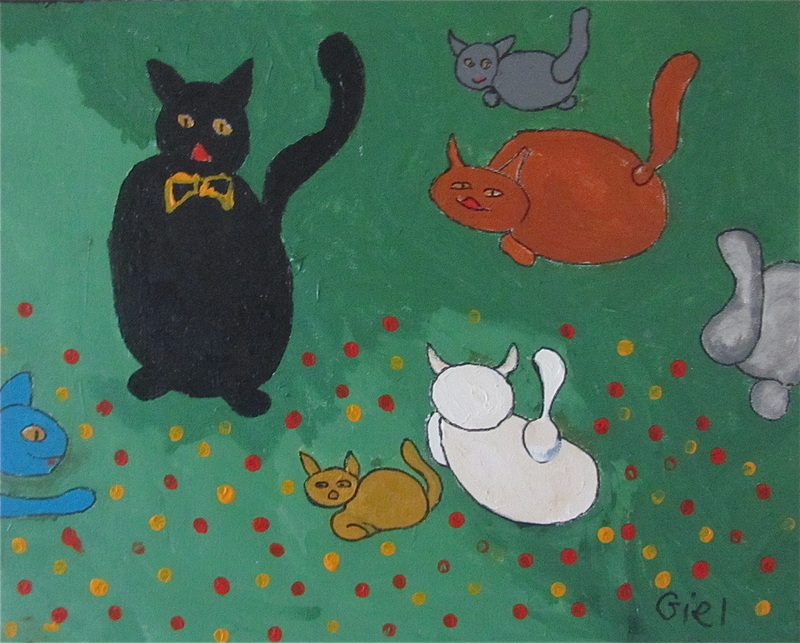 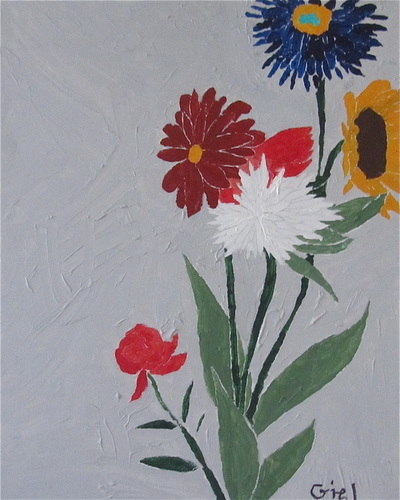 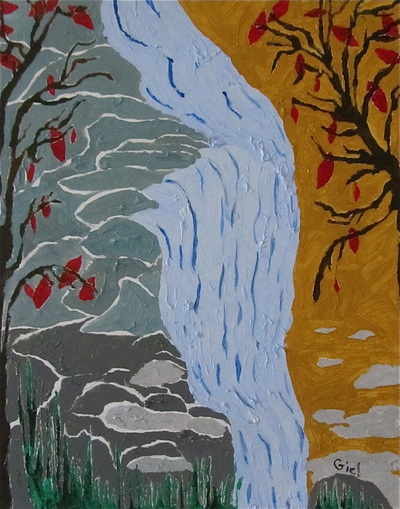 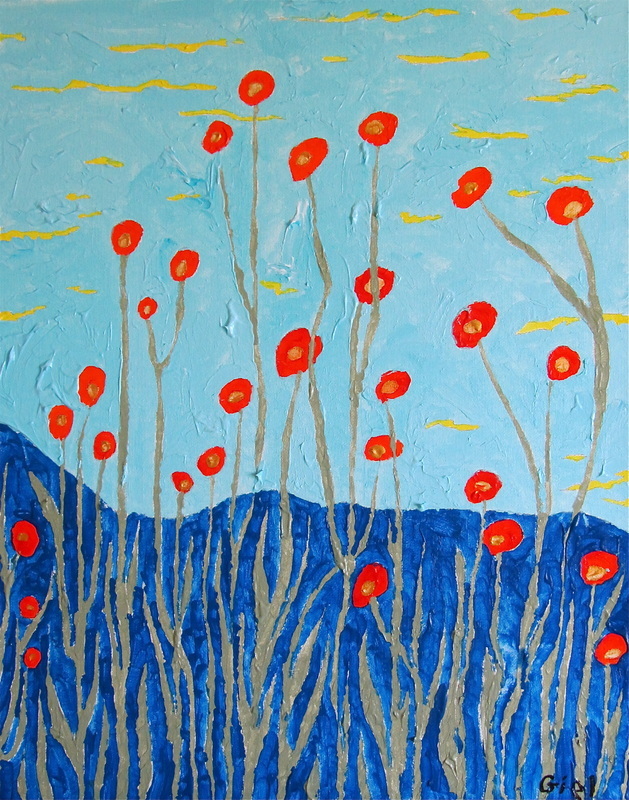 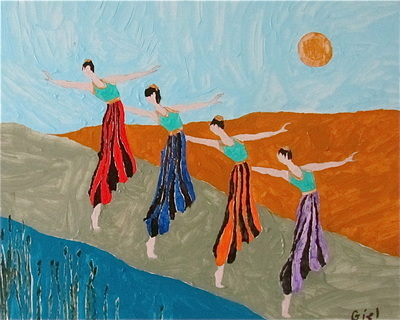 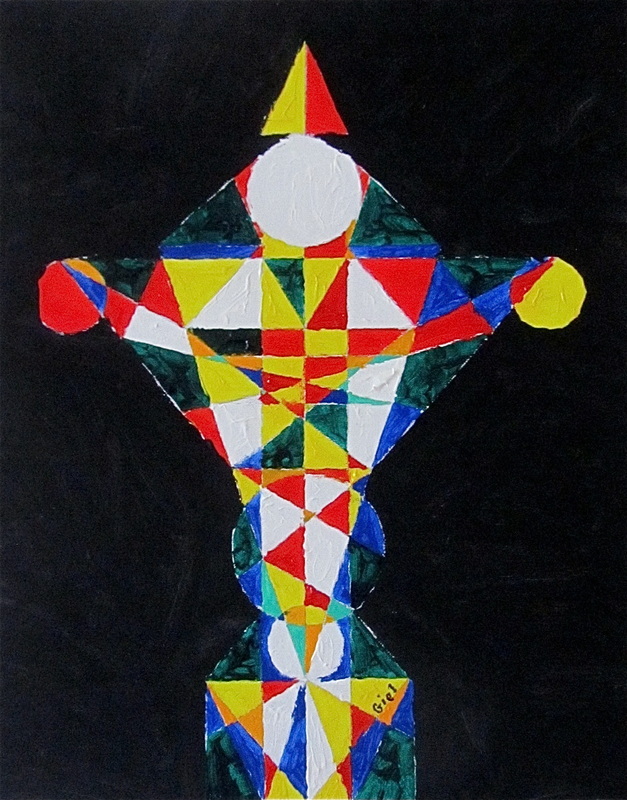 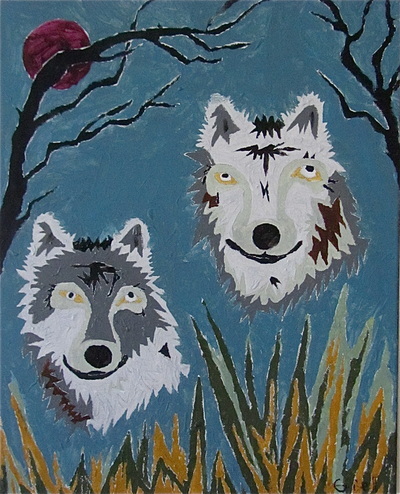 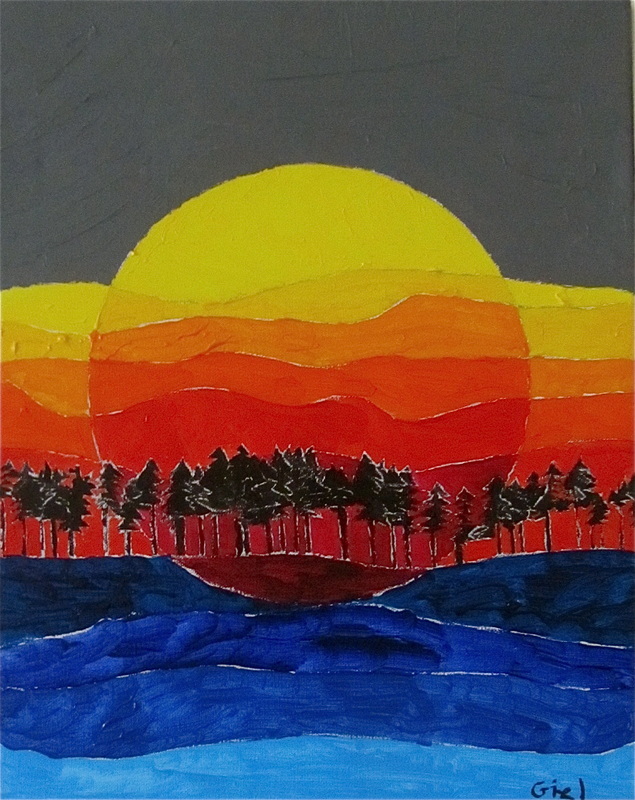 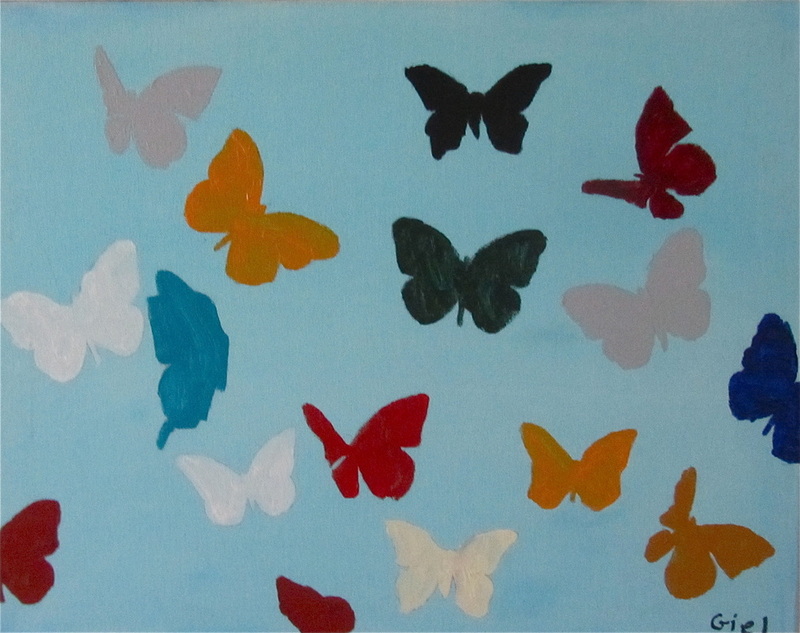 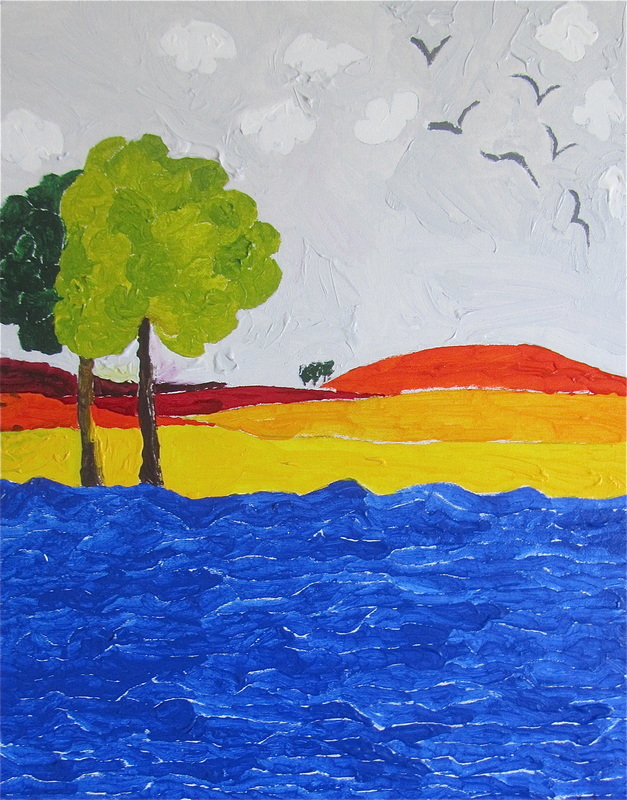 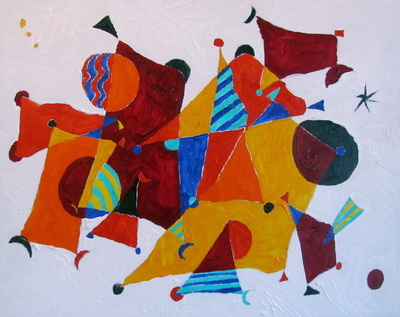 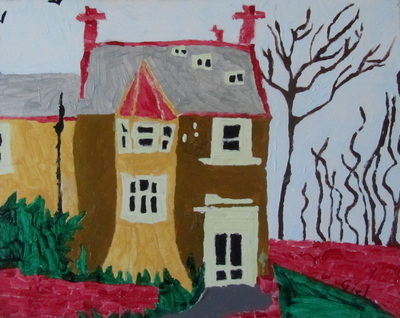 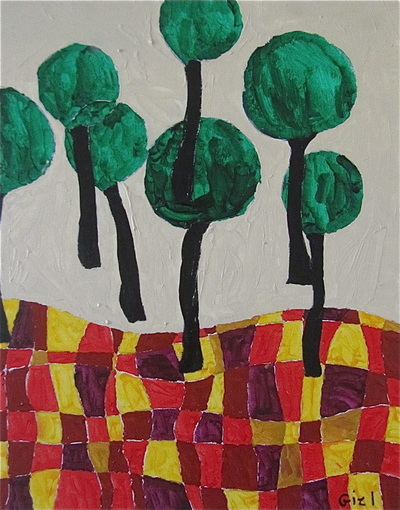 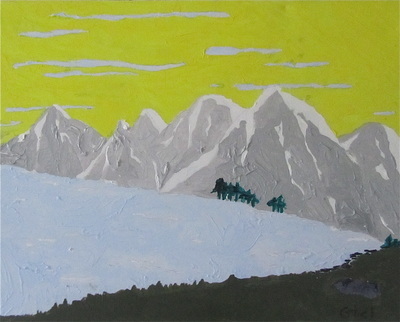 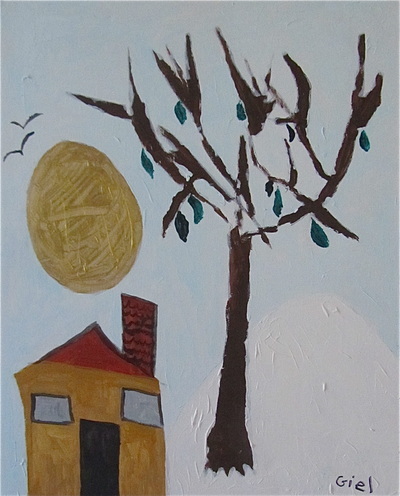 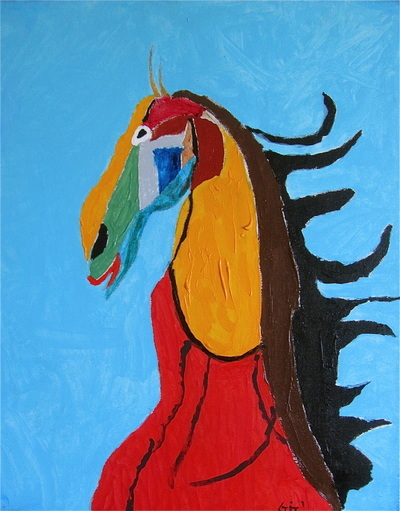 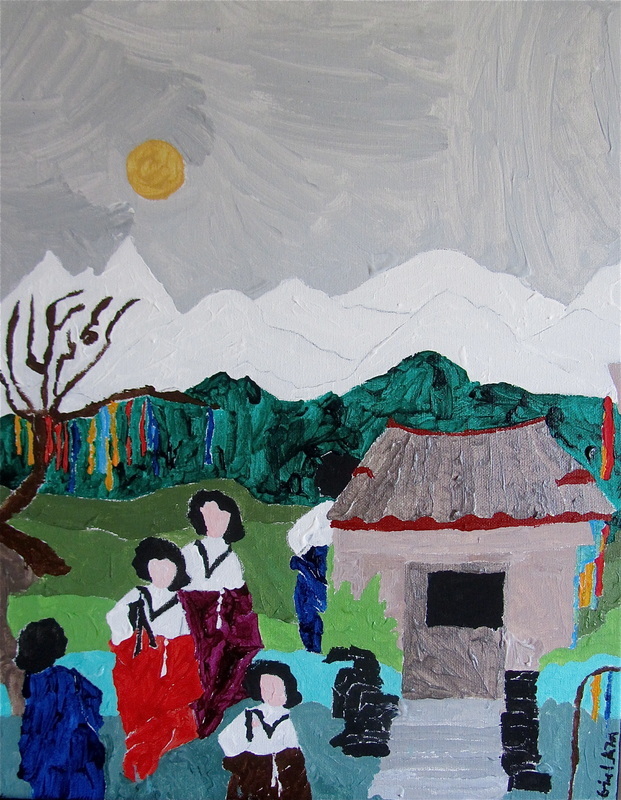 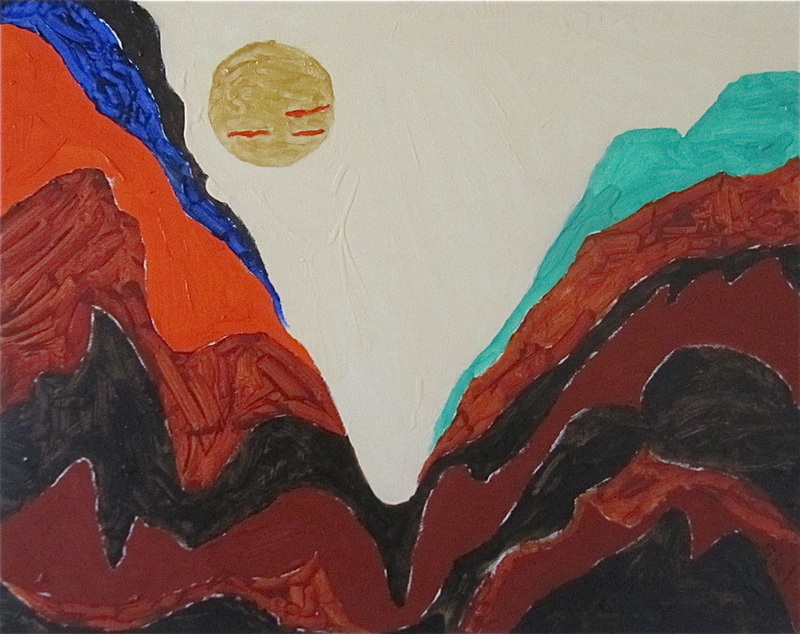 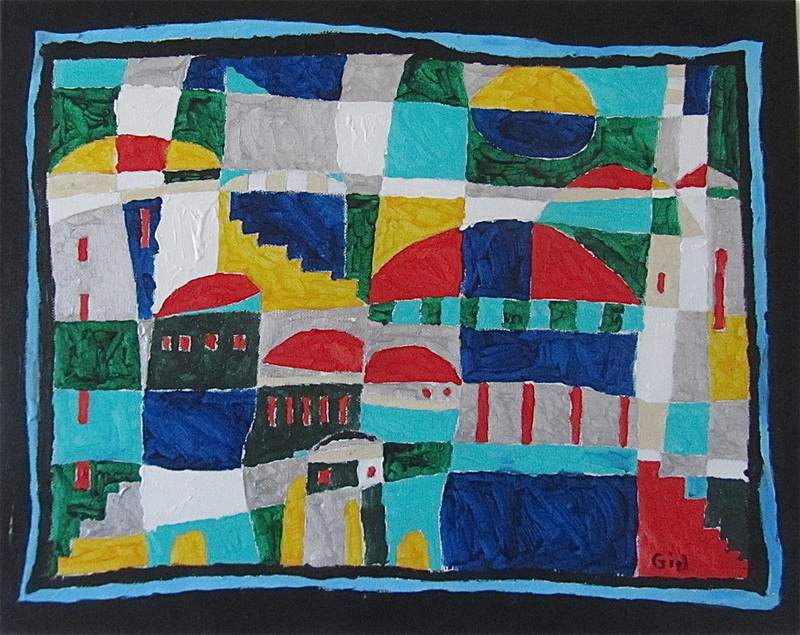 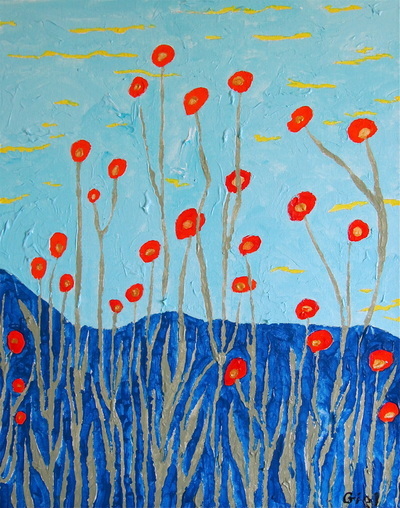 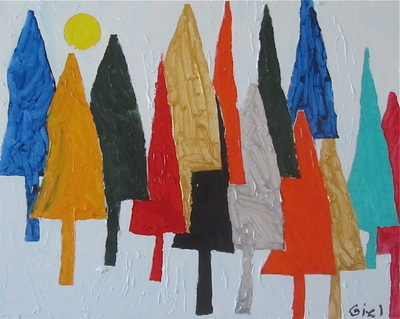 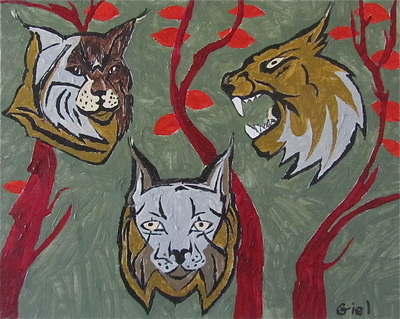 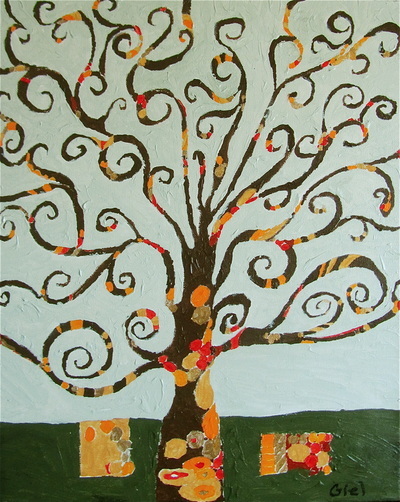 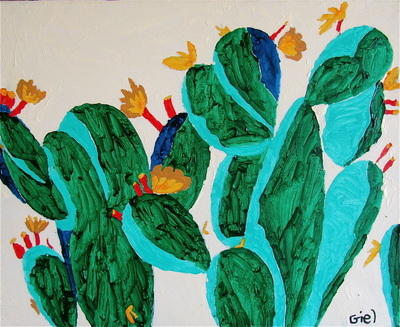 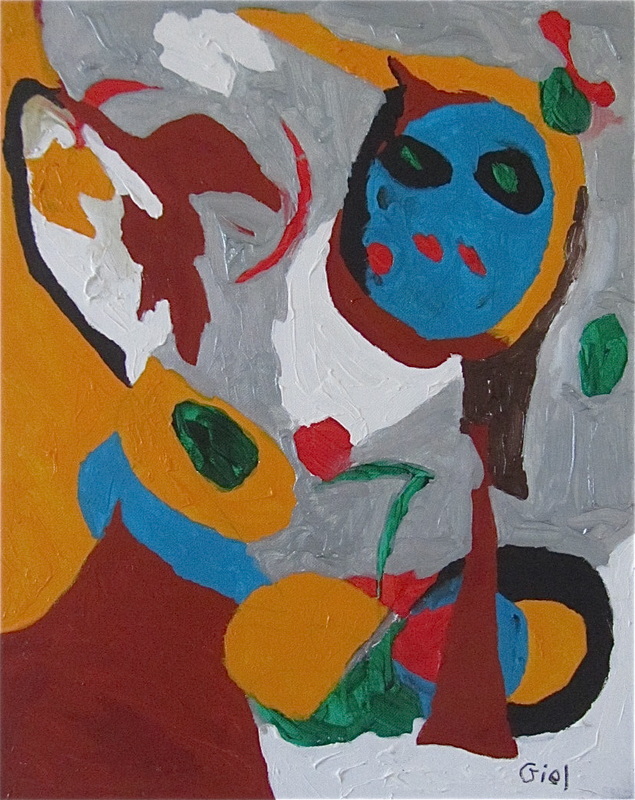 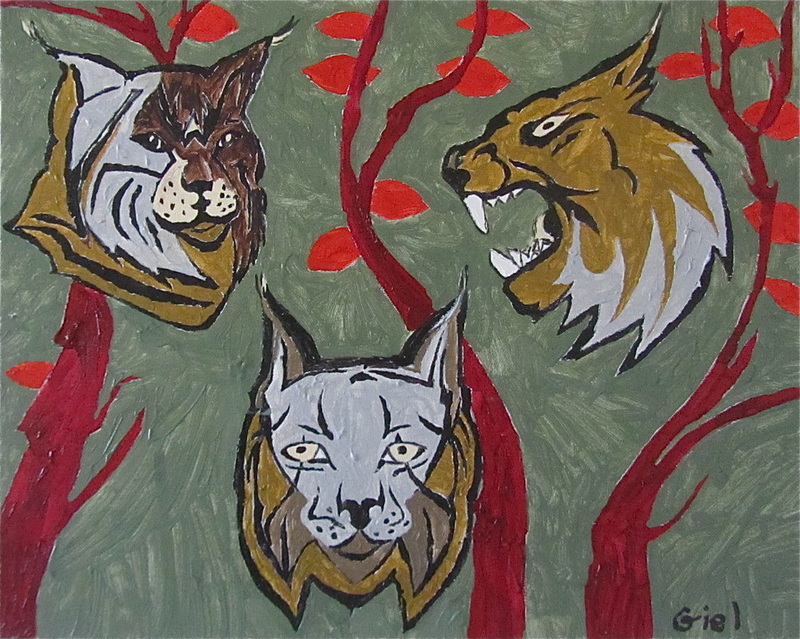 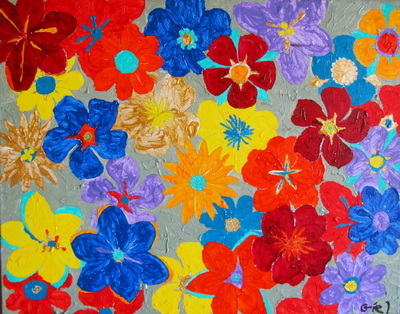 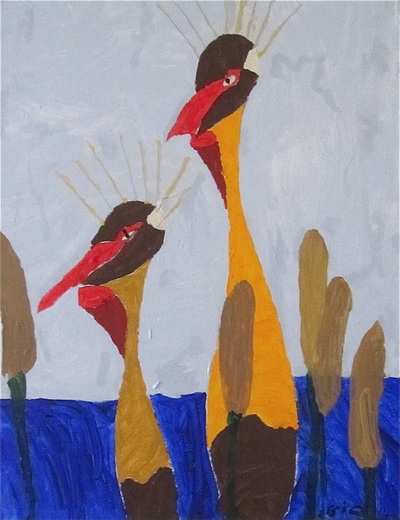 Enjoy his beautiful paintings which are all for sale at a very resonable price.